Entrepreneurship drives the market process. The Economic Point of View: The inaugural volume in Liberty Fund’s new Collected Works of Israel M. Kirzner series established Kirzner as a careful and meticulous scholar of economics. Market Theory and the Price System: The second volume was originally published in 1963 as Kirzner’s first (and only) textbook. 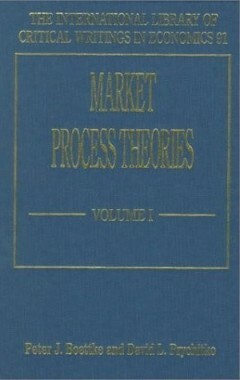 This volume presents an integrated view of Austrian price theory. The basic aim of Market Theory is to utilize the tools of economic reasoning to explain the market process. Essays on Capital and Interest: This volume presents a collection of writings on capital theory that serve both as a discourse in the history of economic thought and as conceptual clarification in one of the most complex subjects in economics. Competition and Entrepreneurship: Pointing out the shortcomings of the traditional microeconomic model, Kirzner offers an alternative and complementary view, which illuminates and enriches the way economists think of the market process. 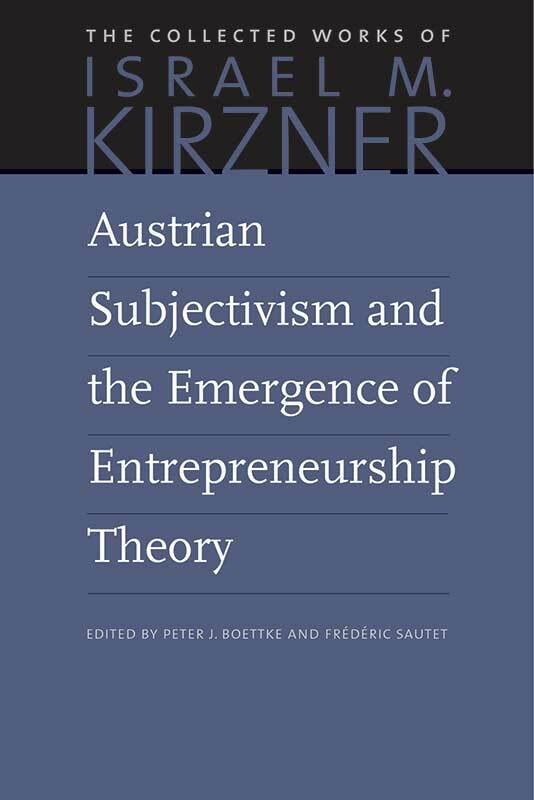 Austrian Subjectivism and the Emergence of Entrepreneurship Theory: This volume comprises several of Kirzner’s previously published papers on the subjects of methodological subjectivism and the history of entrepreneurship theory . Discovery, Capitalism and Distributive Justice: This volume makes Kirzner’s case for the idea that entrepreneurial profit is both essential for an economy and profoundly just. Competition, Economic Planning and the Knowledge Problem: Kirzner has been recognized as one of the minds behind the revival of entrepreneurship and market process theory in the twentieth century. The Essence of Entrepreneurship and the Nature and Significance of Market Process: This volume presents most of the detailed research Kirzner has done on the nature of entrepreneurship and the entrepreneurial process. 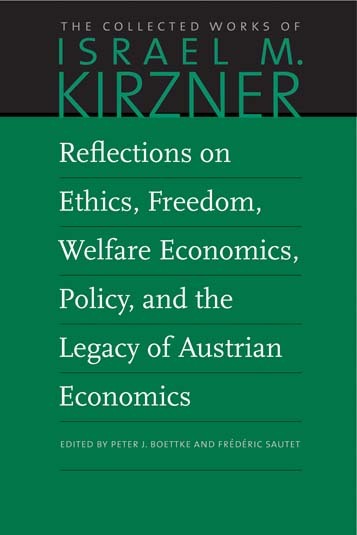 Reflections on Ethics, Freedom, Welfare Economics, Policy and the Legacy of Austrian Economics: This volume comprises a variety of Kirzner’s essays on social thought. 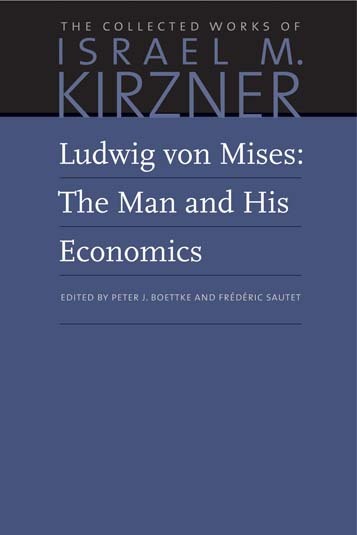 Ludwig von Mises: The Man and His Economics: This volume is a collection of Israel M. Kirzner’s work regarding his mentor, including a monograph on Mises and his work as well as several articles detailing how he impacted the world of economics. “Entrepreneurship, and the Entrepreneurial Market Process: Israel M. Kirzner and the Two Levels of Analysis in Spontaneous Order Studies.” The Review of Austrian Economics, 2014, vol. 27, no. 3, pp. 233-247. "Two-Tiered Entrepreneurship and Economic Development," (with Peter T. Leeson), International Review of Law & Economics, 2009, vol. 29, no.3, pp. 252-259. “Kirznerian Entrepreneurship and The Economics of Science,” (with William Butos), Journal des Economistes et des Etudes Humaines, 2002, vol. 12, no. 1, pp. 119-130. "Entry and Entrepreneurship: The Case of Post-Communist Russia," (with Bridget Butkevich), Journal des Economistes et des Etudes Humaines, 2001, vol. 11, no.1, pp. 91-114. Dr. Peter J. Boettke, University Professor of Economics and Philosophy, George Mason University; BB&T Professor for the Study of Capitalism; Vice President and Director of the F.A. Hayek Program for Advanced Study in Philosophy, Politics, and Economics, Mercatus Center, George Mason University, gave a lecture entitled "Regulation and Entrepreneurship" on March 24, 2017, at Texas Tech University. Peter J. Boettke discusses the important contribution Israel M. Kirzner had towards society and economic thought. 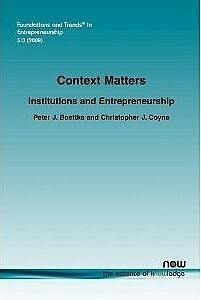 Peter J. Boettke on Israel Kirzner’s Competition and Entrepreneurship. Peter J. Boettke on Israel Kirzner’s Essays on Captital and Interest. Peter J. Boettke on Israel Kirzner’s Market Theory and the Price System.